The holy Ramadan, the lunar month of self-purification through fasting and abstinence, begins in the country on Friday. Lailatul Qadr, the night of divine blessings and benediction, will be observed on the night of June 12. 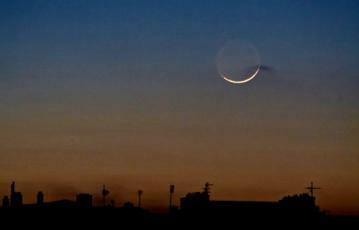 Muslims fast from dawn to dusk during the lunar month, a time of restraint and austerity. During the holy month, all government, semi-government, autonomous and semi-autonomous institutions will follow new office timing as announced by the government. All the offices will remain open from 9:00am to 3:30pm with a 15-minute Zohr prayer break from 1:15pm to 1:30pm during the month. Meanwhile, President Abdul Hamid and Prime Minister Sheikh Hasina have issued separate messages greeting the country’s people and the Muslim Ummah on the occasion.